Kayaking is a sport that can (and should) be enjoyed by just about anyone: men, women, short, tall, thin, fat, muscular, or meek. Contrary to popular belief, paddling doesn’t even require that much arm strength; proper technique is what will have your boat flying through the water. That being said, every paddler needs to find the right kayak for their body to have a good time, and that’s especially true for big and tall guys. So what’s the best fishing kayak for big, heavy, or tall guys? 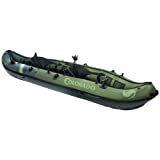 Personally, I think the Ocean Kayak’s Prowler model is one of the best fishing kayaks for big, heavy, or tall guys because it’s got a fantastic 13-foot sit-on-top design that was created with anglers in mind. It’s easy to get in and out of and has excellent stability. It also has a capacity of 600 lb, which is more than enough for anyone and has plenty of space for long camping trips. It might seem like choosing a kayak for a bigger fellow wouldn’t be all that different from anyone else purchasing a kayak, but there are some extra things to consider that will make the experience out on the water a whole lot more pleasant as a big guy. Keep reading and I’ll let you in on some of the most important things to look for in a kayak built for bigger paddlers. ​The ​ Ocean Kayak Prowler Big Game II might be one of the best and most affordable fishing kayaks for big, heavy, and tall guys. 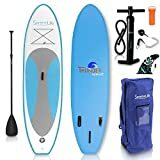 It has an absolutely massive 600 lb capacity that is sufficient for any paddler and a sizable load of gear. The 13-foot hull allows for superb tracking, but it’s the 34-inch width that really boosts its capacity and also makes it one of the most stable kayaks on the market. The Prowler Big Game is also full of great features: adjustable foot pegs, the Mod Pod center console (which holds three rods, a water bottle, and even has a ruler for measuring fish length), a super comfy raised seat, and six mounting brackets to attach extra gear without drilling any holes in your boat. It should be noted that with the exception of the center console, it does not come with any rod holders though – they’re to be installed where you want them using the mounting brackets. It could annoy some users that it doesn’t come stock though. The Prowler isn’t perfect for everyone though. It weighs 70 lb, which means that even without the large molded handholds in the cockpit, you’ll need a partner or a kayak cart to move it around. The 34” width also works against it when it comes to tracking and speed, though most anglers aren’t too concerned with either of those and will just be happy with its unmatched stability. Accessory mounting plates mean no hull drilling is needed. Large hull with 600 lb. capacity and excellent stability. 34” width doesn’t track well and is quite slow. No rod holders besides center console. The ​ Bali from Sun Dolphin is a fairly basic sit-on-top kayak as far as fishing kayaks go. It’s a little wider than some at 29.5 inches and weighs a tad less at 48 lb, but it comes with just the basics for fishing gear: two rod holders, a difficult to use back hatch, and a front tank well for gear boxes and coolers. You’ll find that it’s quite stable though, albeit kind of slow and not very maneuverable in tight spaces. However, one of my biggest gripes with most sit-on-tops is that they often use molded footholds instead of adjustable pegs. Not so with Bali, and this gives it a much more precise fit and an extra level of comfort. As this is a sit-on-top design though, you should be prepared to get wet – both from water splashing over the deck and when it comes in through the scupper holes in the hull. Wide cockpit at 29.5 inches. Only 48 lb, relatively lightweight for a sit-on-top. Not very fast or particularly maneuverable. Scupper holes let in water; be prepared to get wet. Storage behind the seat is not easy to access. 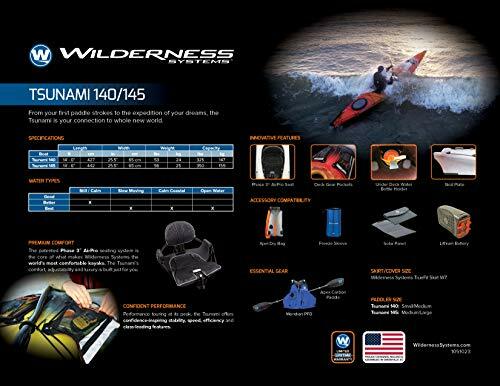 The 14-foot version of ​​ Wilderness System’s Tsunami Kayak​ is the only sit-in kayak that I’m going to recommend. Sit-in designs are more difficult to fish from because gear is much harder to access in hatches. Hear me out first, though. The Tsunami has a weight capacity of 325 lb, which is on the lower end for kayaks designed for big and tall guys, but the boat only weighs 53 lb. It’s probably enough, just not enough for carrying a lot of excess gear. 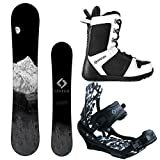 It has a great hull design though that tracks well and keeps you moving at a pretty good clip once you get going. Also, unlike a lot of sit-in kayaks, it has a long cockpit opening, which makes it really easy to climb out of. However, the boat’s somewhat narrow 25.5-inch width can make it feel a bit tippy with less experienced paddlers. So, if it’s got a lower capacity, tips over easier, and is not really designed for fishing, why am I recommending it? Precisely for those reasons – it’s a great all around boat when you’re not fishing; it paddles fast and has excellent maneuverability. If you can only buy one boat and are not fishing every weekend, the Tsunami could still be an excellent pick for you as it succeeds where many fishing kayaks falter. Not too heavy at 53 lb. .Fairly long and easy to exit cockpit, for a sit-in. Not very wide at 25.5 inches, can feel unstable. Low capacity for its length, 325 lb. Not ​ideal for fishing, has almost no angling specific features. 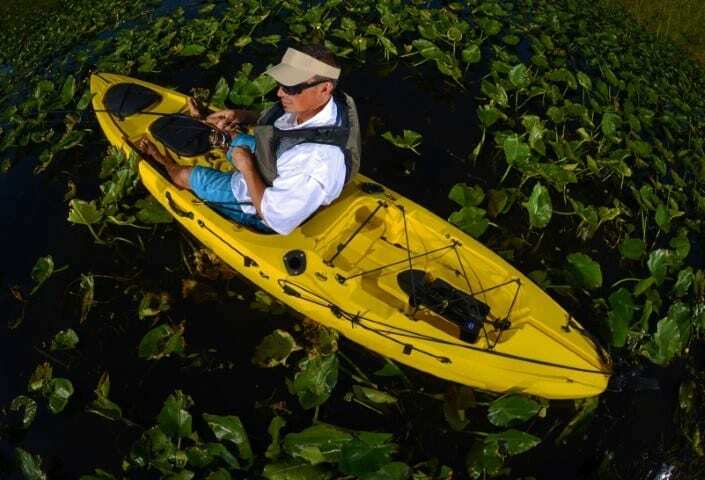 ​ Perception Kayak’s Tribe is one of the best sit-on-top kayaks for beginner paddlers that are getting into fishing. It has a completely open design with gear tanks at both bow and stern so everything can be reached without unlocking at hatch. The downside to this is that all your gear is held in with bungee straps, which with top and sun exposure, will crack and snap. One of the best things about this kayak though is its aggressive hull design that cuts through waves and stays on track. That great tracking comes at the price of maneuverability though; it’s not easy to turn this boat around – not the best feature in a fishing kayak. I do like the seat on this kayak though; it’s well padded and easily adjusted to fit any body type. Big and tall paddlers will appreciate the hull’s weight capacity of 350 lb too. While the boat only weighs 52 lb, it’s rather troublesome to carry without a partner or kayak cart. It has a couple of handholds in the cockpit, but like most sit-on-tops, it’s pretty difficult to move on your own. Overall though, the Tribe is a good choice for anglers that care about gear accessibility and are less concerned with ease of use, on and off the water. Hull design has great tracking. Open storage plan makes gear very accessible. Not very durable, nylon cords over storage areas break with time. 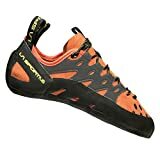 When choosing the best kayak, I always like to keep in mind what a top of the line model would look like, even if it isn’t within my price range. When searching for the best kayak for big, heavy, and tall, I’ve found that the ​ Mirage Pro Angler from Hobie is that kayak. 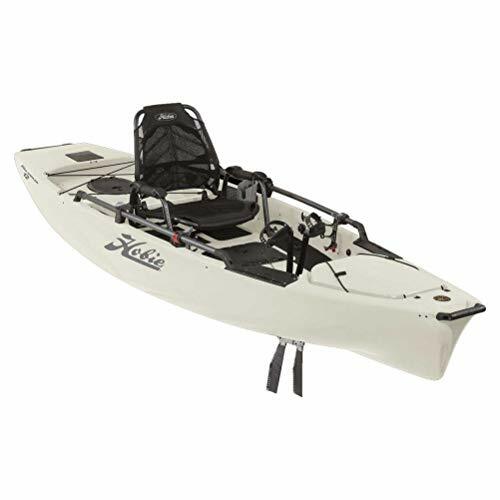 Few kayaks are outfitted quite as well for fishing as the Mirage, which comes with a transducer mounting system that lets you easily add a ​fish finder to your set up. It also comes standard with a rudder system, under seat tackle storage, two rod racks, and a big hatch with pivoting tackle management system. 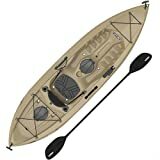 It should come as no surprise that it costs three to four times what any of the other kayaks on this list do. The Mirage Pro’s propulsion system is what truly drives up the price though; it’s outfitted with a pedal drive that lets you move short distances using your feet and without putting your rod down. In addition to its massive price tag, it’s also quite heavy at 95 lb – making it impossible to move without a partner or cart. All those extra features add a lot of weight (and cost), and there’s a good chance you don’t need all of them. This boat is really only for those that need the best of the best and are planning weekly fishing trips with it. Pedal drive for hands-free propulsion. ​Easy to use transducer mount for fish finder. Comes with a whole lot of features you might not need. Can’t carry it alone without a cart. Finding the right fishing kayak for big and tall guys isn’t all that different from choosing one for anyone else. You’re still looking for key features like rod holders, easy to access storage, and of course the big decision, sit-on-top or sit-in. 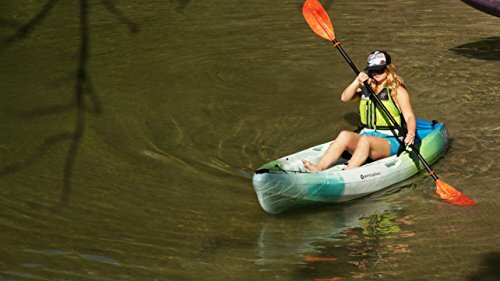 The only place where your criteria will really differ is when it comes to the volume and shape of the kayak, and this is what gives it the buoyancy necessary to keep you afloat. Most kayaks used for fishing are actually large enough to be used by big and tall paddlers. On average, a 10-12 foot boat will able to handle 300 lb, which is usually sufficient. 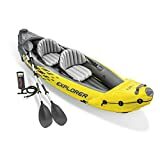 However, boats need to fit more than just the paddler, they also carry a significant amount of gear, and that must be added to the capacity calculation. A good rule of thumb is to get a kayak with anywhere between 75 and 100 lb of extra capacity beyond your own weight. ​That being said, it’s not quite that simple either, because you also don’t want to load your kayak to its maximum weight. Doing so causes the boat to sit lower in the water, which reduces maneuverability. So really, you want to add that 75 lb buffer on top of your weight and your gear’s weight to keep yourself high enough in the water. You’ll need to keep on an eye on the boat’s weight too. Kayaks with greater capacity, by necessity, are made from more plastic. Anything over 60 lb is in the territory of being too heavy and unwieldy to transport alone. Also examine what kind of carrying handles are included with the boat, as these could be the difference between being able to solo carry or requiring a partner/cart. All else being equal, longer boats have greater capacity and can carry larger paddlers. However, you can also choose a wider hull to get that same level of displacement with less length and it will add significant stability to the boat. Narrower vessels cut through the water better and have superior tracking capabilities, but if you’re struggling to keep the boat from flipping over, none of those advantages are going to matter. That’s why I recommend looking for wider kayaks if you’re using them for fishing. Speed and tracking are less important, but when you’re reeling a big one in, some extra stability will definitely come in handy. Perhaps the most common complaint coming from big and tall paddlers is how difficult it can be to exit their cockpit. Manufacturers often cut the cockpit opening to be as small as humanly possible to limit the area that needs to be covered with a spray skirt. Fortunately, you’re fishing, not running rivers or plowing through rapids so you won’t be using a sprayskirt. Instead, you’ll want maximum access to everything in your boat, which is why many fishing kayaks are sit-on-top anyways. If you do go with a sit-in kayak though, look for one with a longer cockpit opening so you don’t need to make yourself into a pretzel to get out. There’s a good chance you’ll be spending several hours in this boat, so it’s best to find one with a comfortable seat. 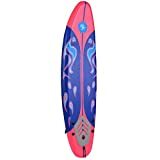 Cheap recreational kayaks often have nothing more than a molded plastic one, perhaps with a thin cushion overlying the seat and backrest. Not a good choice for fishing. Instead, look for kayaks that have adjustable seats and backrests. What’s comfortable at one point during the day might not be so good later on. For maximum support though, try to find one with a higher backrest. It’s the little things that differentiate a great fishing kayak from a good one; things like rod holders, tank wells (the open spaces at the bow or stern that hold gear boxes and coolers), and paddle keepers. Bigger paddlers usually have a tougher time reaching around in their boat, it’s just harder working within a confined space like a kayak. Therefore, it’s important that you find a boat that keeps everything you need easily accessible. Rod holders are frequently installed behind the seat, which allows you to paddle while your line is in play. But, twisting around to reach them can be challenging; it’s best to find a boat that at least some of them installed forward of the cockpit for easier access. ​You can always add aftermarket products to hold your stuff, but no kayaker likes making the permanent modification of drilling mounting holes in their boat. Better to find one with all the features you want already installed. 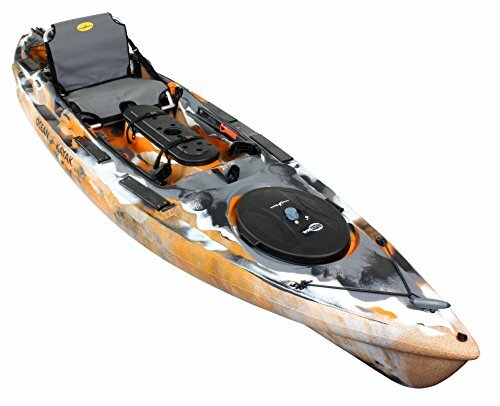 As I said from the beginning, the Prowler Big Game II from Ocean Kayaks was a clear favorite of mine for the best fishing kayak for big, heavy, or tall guys. 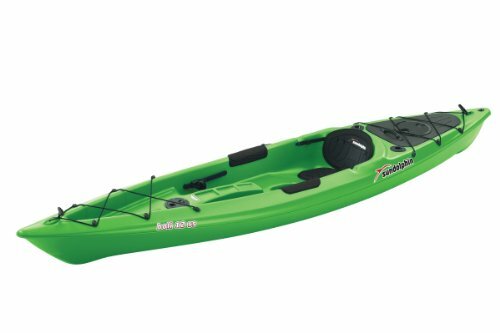 The 600 lb capacity is sufficient for almost any paddler and leaves plenty of room for extra gear. Speaking of which, the Prowler is one of my favorite boats when it comes to gear storage. The tank well behind the seat is quite spacious and can handle the largest gear boxes or coolers. There are also paddle holders on each side of the boat, allowing you to go hands-free and focus on your rods once you’re in position. Its only downside comes from its relatively wide 34-inch width harms its tracking and maneuverability. That being said, if you have a more flexible budget and don’t mind that you’d need a kayak cart to move it, the ​​ Hobie Mirage Pro is also an excellent choice. The pedal drive system is the ideal way to maneuver short distances while keeping your rod in hand. I also like the ​​ Wilderness System’s Tsunami Kayak as a jack-of-all-trades kayak. It’s not the perfect fishing kayak, but it does the job well and probably will be a more satisfying boat if you only fish occasionally and like to run rivers the rest of the time.